Our Glazing Bars are used to support polycarbonate roofing sheets when constructing either a lean-to or a conservatory roof. There are two distinct types of bar - Self Supporting and Timber Supported. 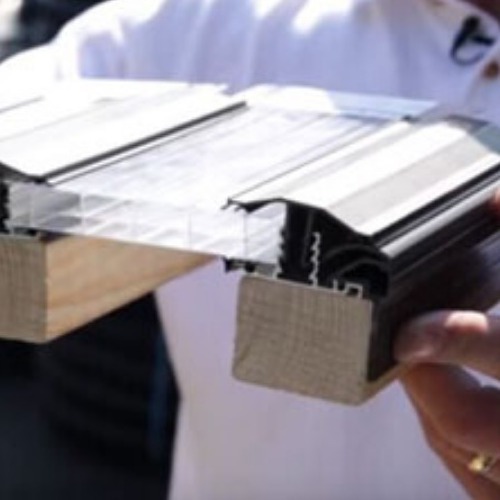 This is the most popular type of system for supporting Polycarbonate Roofs. Our Self Supported Polycarbonate Roofing System for 16mm to 35mm sheets takes away the requirement for traditional timber supporting bars. This system is professionally engineered to allow spans of up to 4m. Rafter bars are available in lengths up to 6m, although additional support is required for bars over 4m long. 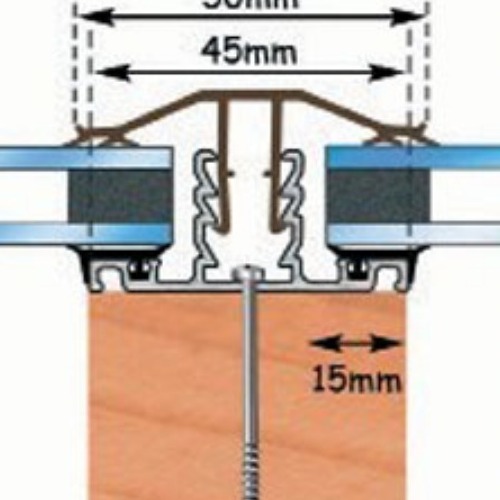 The wall plate is variable in pitch between 5 and 15 degrees to allow maximum flexibility when designing your specific roof. Intermediate and End Bars both come with a PVC top cap and Underclad. Sheet closures and accessories such as fixing buttons and dust tape complete the range. The self support system is available in both white and brown to suit all tastes and roof designs. Our traditional Timber Supported Polycarbonate Roof System allows PVC Capped Rafter Bars to be fitted to traditional timber bearers. Edges are finished using the Aluminium F Trim Section (which can also be used as a wall plate). Sheets are finished at the eaves by using our PVC Sheet End Closures. Timber supported systems are more commonly used when replacing older lean-to's and conservatories. Bars are available in both brown and white. If you are building a lean-to or small conservatory, don't forget to fit guttering - our mini gutter system is ideally suited for this application. If you have any queries regarding our polycarbonate sheets and bars please do contact us for further advice.